10 genius parenting life hacks to try right now! We can't believe you ever lived without them. Life as a NYC parent offers undeniable perks—like access to incredible museums and institutions—but it also comes with a set of unique challenges. Um, hello tiny apartment! Hack your city experience with these genius tips to help you make the most of your time with the kids, maintain your sanity, enjoy the local scenery to the max and save a few bucks in the process! Save your pennies! Sign up for some cheap therapy for both body and mind at Yoga to the People, a laid-back yoga collective in Manhattan and Brooklyn. Suggested donations for classes are $10, but this experience is for the every-yogi: Just contribute what you can. If preparing family dinner feels daunting after a long day at work, trade your usual grocery shopping routine for an ultra-convenient grocery delivery service like Peapod. Get all your regular groceries delivered with the option to add meal kits that feature pre-measured, pre-cut and pre-washed ingredients with easy-to-follow family recipes. Use the code TONY50 to enjoy $25 off your first and second order, plus 60 days of free delivery (offer expires Dec 31, 2017). In The City That Never Sleeps—looking at you, Mom and Dad—shared workspaces with childcare are a lifesaver for young parents. Check out CoHatchery, a co-working space that offers onsite childcare in partnership with Montessori, Workaround, which offers a co-working space and babysitter share option, and Brooklyn Explorers Academy, which also has onsite childcare. Did you know that many kid-friendly NYC museums offer free museum days or free museum hours? Peep our guide to the best free museum days around town to take advantage of the opportunity where you can, and don’t forget to grab free tickets to Museum Day Live!, a celebration where various museums offer free entry and fun block party-style entertainment outdoors. 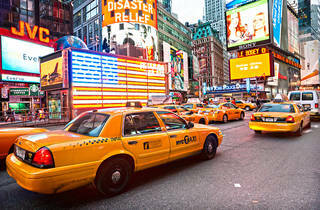 If you’re a traditionalist when it comes to catching a cab, note that New York taxi shifts end at 4pm. Plan your trek Uptown, Downtown or beyond a bit before or after that time to make sure you can actually get one when you need it. Since your kids are likely sharing a room, why not max out your square footage and create a cozy space for all with super cool IKEA bed hacks? Use IKEA Hackers to get printable directions for everything from loft beds with hidden playhouses to triple bunk beds and beyond. Try the TKTS booth, which offers deeply discounted same-day tickets to Broadway’s hottest shows and has four convenient locations around the city (Times Square, South Street Seaport, Downtown Brooklyn and Lincoln Center). Many shows also offer rush tickets either digitally or at the theater’s box office, and you can get those details here. 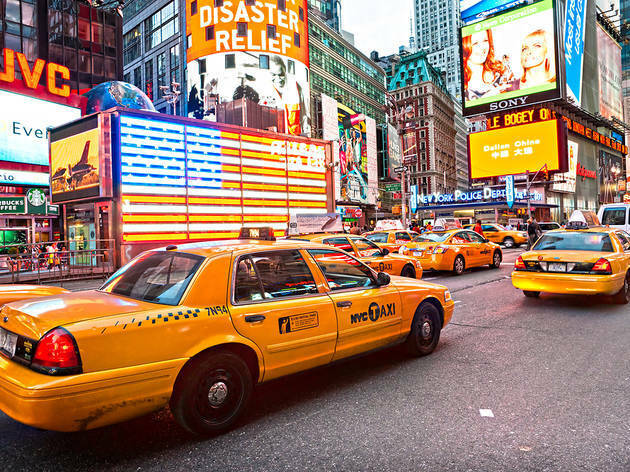 Last but not least, annual promotions like Kids’ Night on Broadway and Broadway Week both offer two-for-one deals that make it way more affordable to bring your family. Online shoppers rejoice! Install the Honey browser extension and it’ll automatically find and apply all kinds of coupons in your online shopping cart. Sign up for the card at www1.nyc.gov and get free one-year memberships to more than 35 organizations, including Brooklyn Children’s Museum, AMNH, Film Forum, Lincoln Center, New York Botanical Garden, MoMA PS1, Symphony Space, Wave Hill and many more. Yep, we’re for real. Nitehawk Cinemas offers a baby-friendly screening series called Hawks with Babies that caters to new parents with children one year or under! You won’t worry about your bundle of joy causing a ruckus because you’ll be in good company.